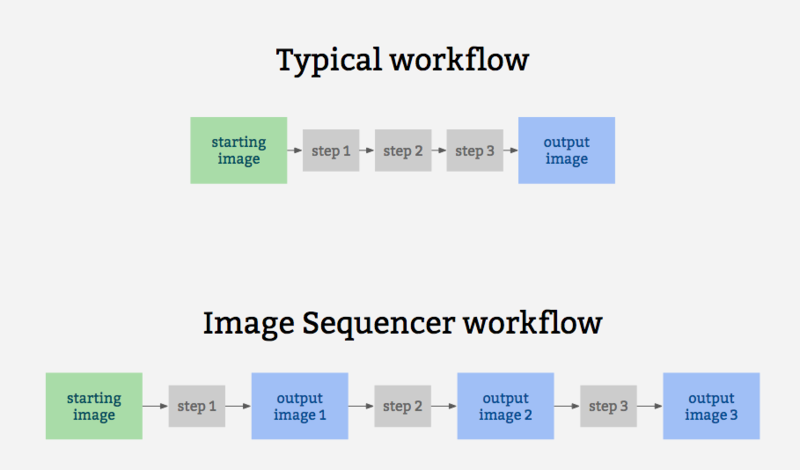 Read more in-depth on the Image Sequencer GitHub page. Also see this great introduction by @ccpandhare. There's now an "NDVI" feature in MapKnitter -- a beta -- for converting the images you upload with the #NDVI equation. It's set up for red filters only right now, but more will come. It uses Image Sequencer to do the conversion, which is temporary - your map is not affected, so think of it as a "filter" you can turn on. Need help? Ask questions above! There's now an "NDVI" feature in MapKnitter -- a beta -- for converting the images you upload with the #NDVI equation. It's set up for red filters only right now, but more will come. Ask questions above! Image Sequencer is an online tool for image processing -- based on the idea of a storyboard. Each modification makes a new copy of the image, resulting in a series of images showing each step. It is designed for use in browsers, as well as on the Raspberry Pi. Image Sequencer is an online tool for image processing -- based on the idea of a storyboard. Each modification makes a new copy of the image, resulting in a series of images showing each step.